Some brokers struggle to help clients these days. It's not easy. Rising health care costs seem to be an inevitable part of doing business today. While the skyrocketing costs cannot be ignored, there are ways to decrease risk and manage premiums in the wide world of workers' comp. As we enter 2017, changes and trends in the workers' comp world are coming. Brokers may have niche opportunities to help businesses and clients by keeping workers' comp costs in line. High claims typically lead to high premiums. This is the insurance industry in a nutshell. That's the bad news, but it gets worse. Certain insurance companies have seen more claims, longer breaks from work, and higher dollar amounts being claimed. That's a recipe for high premiums. And many predict these premiums will continue to go up due to increasing costs for prescription drugs and an aging workforce. If change is to happen quickly, most brokers note it'll come from within an organization – not to the system. One way companies may control workers' comp costs is through better management of pharmaceutical benefits. Opioid use has continued to rise in the United States. As such, many employers require workers' comp claims using opioids to have a weaning off strategy at the start. Another way to manage benefits is limiting where employees can get pharmaceuticals. Getting drugs from the physician's office typically costs more than at an off-site pharmacy. Certain workers' comp programs have developed relationships with facilities that specialize in work-related injuries specific to their industry. While requiring workers' comp claimants to choose a particular occupational medicine clinic is barred, a recommendation is legal. Brokers can help make an introduction in these scenarios. Innovations in the medical field incorporate technology to give patients options. Telemedicine is one such trend. Instead of visiting a doctor's office, a patient can call in on a smartphone or iPad at any time during the day or night. This is especially useful for people who work nights and mornings. Other programs have incorporated a hotline that connects injured employees to a health care professional immediately. A culture of getting back to work is essential to ensure the success of a workers' comp program. Employees who want to get healthy and get back to work can save a company a lot of money. One way to potentially get employees back faster is through support. Most companies don't contact employees while they're off on a workers' comp claim. A phone call or card from a supervisor could help an employee recover mentally and physically. Many were surprised to learn that over 80% of a workers' comp program costs go towards 5% of the claims. This means employees away from the job for a long time eat up more costs than anything else. Getting these people back on the job on schedule can be significant for workers' comp programs. While workers' comp programs are in place for a reason, the easiest way to potentially control costs is through a safety program at the workplace. Many have found the costs of incorporating more safety programs and measures to be minimal compared to the cost of workers' comp when an employee gets injured. Certain companies have found a large financial incentive to focusing on safety and doing things the correct way. A broker can play a significant role in helping companies manage workers' comp costs by focusing on safety. For more information regarding workers compensation contact Skyline Risk Management, Inc. at (718) 267-6600. Buying items is simple. Selling things is a little more difficult, but still fairly straightforward. As long as humans have been around, we’ve been giving value to certain items, whether it be monetarily or otherwise. “How much does it cost?” isn’t that complex of a question – until it is. So when it pricing complex? Pricing becomes a problem when claims adjusters get involved. Finding a definitive price for an item not on the market, after depreciation, and so forth is an art form. Well, more like a science. So how do claims adjusters find the true or definitive price of an item? Enter actual cash value (ACV) and replacement cost value (RCV). Actual cash value is the cost to replace an item minus depreciation. Replacement cost value is the cost to replace the asset at the full present value. While these concepts may seem straightforward, things can get complex quickly. Adjusters not only need to decide on the value of an item, but there are also numerous local and state laws that can impact how ACV and RCV are calculated. While seemingly fair, this leaves pre-loss condition in a tough situation. Many adjusters have found themselves between a rock and a hard place due to this law. Often, it can be difficult to determine what an item actually is – much less its exact condition at the time of the loss. Furthering confusing things, an adjuster has to work with obsolete and unique items. Not even item loss will be easily purchased on Amazon.com. No, there will be a variety of items that hold a unique value for the owner. Many of these items will be tough to find pricing for. As an adjuster, understanding that one man’s trash could equate to another’s treasure is paramount when dealing with these unique cases. When dealing with these cases, communication is key. The adjuster must work to understand the insured and what he or she places value on. You need to understand the insured and the item before placing a value on it. When dealing with these items, begin by understanding what exactly the item is, how it was used, and if the insured still values it. Many times, an adjuster will need to dig deep and do some research before giving value to a unique or obsolete item. Consulting experts in the field. Look for a certified consultant who can help you give value to a unique, obsolete, or high-priced item. Always verify these individuals’ credentials. Use the Internet. While Internet pricing isn’t the most accurate, you’ll often be able to gather a working knowledge of the item and its value by going online. Overall, the best way to determine value for an obsolete or unique item is to find a similar item already on the market. Finding a similar kind and like item can ensure fair pricing and valuation for both parties. Antique items open a whole other bag of worms for adjusters. Not every item that is older is considered a valuable antique. Most items are required to be a certain age and origin to qualify. A minimum of 100 years old is required for an item to be “antique” from an insurance perspective. Adjusters should handle antique items in a similar manner to obsolete and unique items. Overall, understanding the actual cash value versus the replacement cost value isn’t that complex. Most homeowners will benefit from RCV more than ACV when an adjuster is looking into their claim. How a state handles these cases and individual policies will go a long way in determining how the claim is calculated. The New York Supreme Court, Appellate Division, First Department decided that additional insured endorsement only provided additional insured coverage to an entity in direct contractual privity with the named insured. The decision reinforces the New York law, which controls policy language entitlement to added insured coverage. The New York Supreme Court was forced to confirm this law due to a recent case. Brought to heed on Sept. 15, 2016, the case involved the Dormitory Authority of New York (DASNY), Gilbane Building Co. /TDX Construction Corp (a joint venture, or JV)., and Sampson Construction Company. The contract between DASNY and the JV stated that all prime contractors retained by DASNY were to name the construction manager as an additional insured under the liability policies. This was a requirement. Next, DASNY contracted with Sampson to retain its services as a prime contractor in all foundation and excavation labor. In this contract, Sampson agreed to name the construction manager as an additional insured on its commercial general liability policy. The company then purchases a commercial general liability insurance plan from Liberty Insurance. WHO IS AN INSURED: (Section II) is amended to include as an insured any person or organization with whom you have agreed to add as an additional insured by written contract, but only with respect to liability arising out of your operations or premises owned by or rented to you. Moving forward – the work Sampson did on the job site allegedly created property damage to the building adjacent. Thus, DASNY filed suit against Sampson and the architect. Then the architect bought a suit against the JV, too. The JV then sought coverage under the Liberty policy that Sampson procured for the DASNY contract as additional insured. Liberty denied coverage. So the defendants opened a declaratory judgment action against Liberty. Then Liberty made a play for a summary judgment, claiming that additional summary judgment would require some direct contractual privity with the named insured, Sampson. The court then denied Liberty’s motion on the basis that the policy only required a written contract in which Sampson is a party. This requirement was satisfied when DASNY and Sampson entered a contract. However, this was overturned on appeal based on the additional insured endorsement. While the Sampson and DASNY contract was evidence that Sampson agreed to provide coverage, the court ruled that this has no impact on the coverage Liberty agreed to provide them. This opened the door for the JV to pursue Sampson on a breach of contract clause, as a third-party beneficiary. The JV and courts attempted to distinguish the language in each policy, but the Gilbane Court clearly stated that privity between named insured and additional insured is required. Common Areas: Places that all residents use like stairs, elevators, and hallways are jointly owned by the unit owners. Each owner's interest is proportionate to the value of his or her unit. Dwelling Units: The housing unit that is individually owned by the person who bought it. Administrative Framework: Often, a condominium has an association. This is usually made up by a board of managers, who typically own a unit. The organization manages the common areas and assets. They also set the rights and obligations of the unit owners. The condo association is only responsible for insuring the common areas of the complex. The interior of the individual units is the responsibility of the owners. Nearly every state requires the association to have insurance for all common elements and bare walls. When insuring a condominium, you'll be quoting for mostly, “walls –in” coverage; unless your condo’s association’s Master Insurance Policy says otherwise. Before gathering coverage for a condominium association, you'll need some important documents. These sets of documents offer the information needed to see the scope and full extent of coverage required. The declaration of the condominium, which is subjected to a condominium act. The condominium property act that is in effect in the association's state. This defines the boundaries of coverage and responsibilities. To further understand the scope of coverage, you'll need bylaws and various instruments that clarify what is permitted under the act. Once you have these documents, you'll find condo coverage becomes a lot easier. It'll be simple to itemize and identify which areas will be covered. Then you'll be able to add limits and subject items to coverage. No one is perfect. The board of directions for a condo association is no different. Condo association insurance does not cover errors and omissions of board members in a standard policy. For this reason, most associations choose to purchase Errors & Omissions Liability Insurance. Certain states require the coverage, but some do not. Other states limit the liability of errors & omissions, but many do not. The Volunteer Protection Act of 1997 does not cover volunteers within the condo association, as the act does not defend volunteers against lawsuits. The act protects against tort liability stemming from acts of bodily injury and property damage. When liability for criminal misconduct, gross negligence, flagrant indifference or safety of others is brought to attention, the act does not cover anything. In these situations, general liability insurance often comes in handy. It's important to note that certain states have opted out of the Volunteer Protection Act and created provisions concerning these issues within their legislation. Often, a state's legislation will limit the personal liability of volunteers within the condo association. The end goal in a workers’ compensation claim is to get the employee in the position to be able to go back to work. Work rehabilitation has long been a factor that contributes to this goal. By providing employees with the proper physical therapy to be able to successfully do their job once more, it is not only improving the well-being of the employee, but also benefits the employer as the carrier can typically closer the claim quicker. However, work rehabilitation programs have changed, and new and more efficient programs have mostly replaced the more scattered, outdated rehab plans of the past. A term that many often use in correlation with workers’ comp is "work hardening." Work hardening is a multi-focus regiment used to physically and mentally prepare employees to return to work. Sessions run several hours long, are often five days a week, and can take as long as eight weeks to complete. In the past, this type of return to work effort was used mainly for skilled laborers who needed to regain dexterity to perform their job again. The problem with work hardening is that most employees injured on the job do not need rehabilitation to the extent that it is designed to provide. The cost of the problem often outweighs the value. Work conditioning is another method of workers’ comp rehabilitation that is more boot camp-like. The regiment includes an individualized plan for recovery, but focuses more on the physical aspect of returning to work only. Today, new return to work programs are using a mixture of the two techniques to create the advanced work rehabilitation plans that health care professionals commonly use for the modern injured worker. There are a few key factors contributing to the success of the program. Personalizing: Crafting the rehabilitation plan to each employee is important to make the program as efficient as possible. Each workers’ comp injury can be vastly different from the next, and so it stands to reason that every rehabilitation plan should be different as well. Focus on Job-Specific Functions: The primary goal in back to work rehabilitation is for the employee to get back the ability to do their job unhindered. Returning to work may require small steps to accomplish, but by focusing on the specific functions they need to perform their job tasks, workers’ are typically able to return to work faster than they are with multi-function rehab plans. By strengthening the functions that the employee uses on a daily basis on the job, there is also a lower chance of re-injury. Faster Recovery: With the specificity of today’s return to work programs, workers’ are often able to return to the job much faster than they had in the past. The employer clearly benefits from this as the cost of the workers’ comp claim is less, but it also benefits the employee as well. The longer one is out from work, the harder it is to return. Benefiting from a quick recovery, the worker can get back into the flow of things faster and become a productive member of the workforce once again. Getting injured on the job is not an ideal situation for anyone. Typically, neither the employee nor their employer wants to see the worker undergo the arduous and sometimes painful process of rehabilitation. Though it can seem like a daunting task to undertake, by utilizing the personalized workers’ comp rehabilitation programs available today, employees are now able to get on the path to recovery and return to work faster than ever. Contractor’s professional liability insurance is a facet of the construction industry that continues to blossom. This growth is good news in many ways. It provides the opportunity for more thorough coverages, more competition, and an ability to obtain better overall coverage than ever before. However, the growth of contractor's liability insurance also highlights some common pitfalls that its owners can be subject to if they are not careful. The Insurance Services Office (ISO) regulates Contractor's liability insurance for the entire industry. Even so, each policy can be different. Each insurance carrier has different standards, provisions, and exclusions that can take a loss that is entirely covered by one policy and make it into one that is not covered at all under another policy. One of the most important areas things to watch out for is a gap in coverage. Assuming that one coverage covers all of your insurance risks is a dangerous mistake to make. The purpose of contractor’s professional liability coverage is to protect the contractor against any design flaws caused by them or a third party. It is a critical coverage by all means, but does not always provide for every type of unexpected incident that might occur on the job site. A coverage that can be essential in bridging that coverage gap is pollution coverage. The purpose of pollution coverage is to protect against damages incurred from pollutants in the course of construction. Damages can include injury to a person, damage to property, and even cleanup. Sometimes pollution coverage is included in a contractor's professional liability policy, but other times it is not and has to be purchased as a separate policy. Knowing whether or not the policy contains coverage for pollution introduces us to another area in which to be cautious. There is nothing more essential in the process of making sure that you have the coverage you need than knowing the specifics of the coverage you have. An understanding of what each coverage includes for as well as ensuring that you comprehend fully how each coverage works in the event of a claim is imperative to making sure the policy properly covers your needs. Policy language can include lots of jargon and unclear terms so getting clarification on anything that you do not understand from your agent is a good way to stay informed. Along with ambiguous language, word definitions can be another trip-up. Some insurance terms can have different definitions from carrier to carrier. Placing a different meaning behind the same insurance term can lead to you having entirely different coverage than you expected in the event of a claim. A perfect example of this can be related to auto insurance where many people use the term "full coverage" loosely. Some use the term to mean physical damage coverage, and to others, it implies that policy includes every single coverage available. Pay attention to any words that may have a vague meaning. Exclusions to the policy can be a big game-changer regarding whether or not you are covered Know the specifics of any policy exclusion on your contractor's professional liability insurance policy. In doing so, you can be more aware of possible coverage pitfalls. Not only can exclusions render your coverage useless in certain situations, but violations of some exclusion can also cause you to commit insurance fraud. The best step that you can take toward ensuring that your policy is covering everything that you want it to, is to make sure that you are taking the time to understand what your policy covers and what it does not. If you have more questions about Contractor’s professional liability insurance consultant your insurance agent today. In a world full of bad news, good news comes in the form of the rise of the construction market. While it has not quite hit pre-recession levels, numbers are expected to increase in 2017. So now that the market is recovering, the next goal to tackle is how the construction industry can be improved. It turns out that technology might play a big part in the future of the business. New technological tools are already bringing new advantages to the worksite and opening up the doors for new and possibly better ways of doing things. The ability to predict, detect, and counteract losses is game-changing possibility that new technology tools are turning into a reality. Damages to construction from weather and nature-related losses have always been an unfortunate side effect of the trade. One does not have to look too far back to find a time when technology limitations made weather difficult to track and therefore more frequently devastating. With advancements in technology, weather prediction became more accurate, and contractors were able to prepare better for the coming storms. In the same manner, new technologies are making risks that were hard to predict more manageable. A Building Information Model (BMI) is a digital, 3D model of a building that contains combined resources between engineers, architects, and members of other construction trades to help more accurately and more efficiently make development and designing choices. With the shared knowledge of all parties involved, everyone becomes more informed about the other areas of construction. Increased knowledge and awareness makes for a safer and more accurate construction environment. BMIs also provide for less duplication of work, easier conflict resolution between trades, and the ability to be closer to perfection than ever before. As mentioned earlier, the weather has always been a significant risk in construction. Enhanced forecasts are a plus, but the precision of weather predicting is reaching higher levels than ever before. A weather predictor or application is an invaluable tool to use on the job site. The ability to anticipate potentially devastating weather provides for the time to take the necessary precautions to lessen or eliminate damage completely. Water leakage is another area where technology has provided a tool to assist. New water leakage detection technology can determine where there is possible water leakage on a job site. Catching water leaks fast can mitigate any further damage that may have otherwise occurred. The development of functional and sophisticated drones has also lead to a convenience in the industry regarding surveying usage. Could the forefathers in construction ever have dreamed that one day we could survey a job site without ever setting foot on it? Another piece of technology that brings a whole new wave of possibility is the 3D printer. The ability to recreate just about anything is a mostly yet untapped potential in the construction field but could provide endless benefits in the future. Mobile Apps are also an area of technology that is teeming with advantage for the tech-savvy tradesman. From calculating apps to assist with supply configuration to blueprinting gadgets, there is a whole market of construction-related apps available. The fact of the matter is that we are living in the 21st century and as a benefit of life in our time, we are privy to technological advances that those that came before us could ever imagine. The construction industry is no exception to these advantages. The construction market is changing, and technology is beginning to play a bigger and bigger role. Now is the time to make use of the tools that are out there. The construction industry has been an ever-changing environment over the last decade or so because it has had to adapt to the rise and fall of the marketDemand has changed, requirements have changed, and desires have changed. Will all these changes in play, it becomes a fair question as to whether sureties are still an important part of the business. The answer to that question is a resounding yes. With the changes to the construction industry, risks have increased if anything, making sureties a more important part of business than ever. The primary purpose of a surety is to financially protect the obligee if the principal does not fulfill their contractual obligations. With the changes in the market, there are new reasons why the need for this promise is so vital for contractors. Increased competition in the marketplace presents more than one factor to the changing construction climate. Everyone in America knows that during the recession, construction was one of the hardest hit industries. Although still recovering, the industry has yet to see conditions equivalent to what they were before the fall of the market. Even though the market has not fully rebounded, demands of owners have changed and become surprisingly stringent. More responsibility than ever falls on the heads of the contractors from the expectation to finish uncompleted designs to the need to lower overhead costs significantly just to be able to stay in the market. With increased responsibility comes an increased opportunity for risk. The likelihood of subcontractor default is a scary, but relevant factor in construction. A recent risk study conducted by the Associated General Contractors of America (AGC of America) places the risk of subcontractor default as one of the three highest risks in the construction industries. Other major risks include highly-detailed contract language and a shortage in skilled laborers. The fact that the very purpose of a surety for a contractor is to protect against subcontractor default and statistics are showing that default is still a huge risk, is alone enough to warrant a surety. It seems as though subcontractors are not adjusting to the new industry standards in the same manner that others in construction have been forced to. Maintaining the high overhead or pre-recession times is not going to cut it in today's industry. As an unfortunate side effect, this takes many who may have proven their worth as a subcontractor out of business as they fail to match the bids of others who have adjusted. The fact that experienced subcontractors are losing bids links to the other risk factor of a lack of skilled laborers. With the shortage, the workload for those who are skilled is increased and falling behind on that workload is a major contributor to the trend of subcontractor default. A surety, then, becomes a great way to combat these risk factors. Not only does a surety guarantee that if the subcontractor falls behind and fails to live up to their promise, the financial institution will financially compensate you but it also serves a wonderful second purpose. To be guaranteed a surety, the subcontractor must live up to the scrutiny of the bank or lender. By undergoing this process, contractors can be more assured that the subcontractor they hire is reliable. Contractors are in many ways in a more precarious position than they were ten years ago with more liability risks being tossed to them every day. However, the risks are manageable. With proper management of these risks, contractors can know that they are protecting their business. One of the most important ways of doing that is a surety, and it is clear that now more than ever not only it is important, it is necessary. Recently there have been some significant changes to contractors’ professional liability coverage that has expanded the types of coverages available and also opened the doors for more carriers providing for a more competitive market. It is no surprise then, with the influx of options available, that contractors may be unfamiliar with some of the coverages or their benefits. One such critical coverage relatively new to the game is rectification coverage, and by looking at the benefits and the ways in which it differs from other coverages, one can begin to understand its usage. Depending on the insurance carrier, rectification coverage may also be known as mitigation of damages coverage or other similar names. Rectification coverage provides first-party coverage to a contractor for the costs that come from fixing design errors made during construction. The coverage’s purpose is to cover the type of serious flaws that, if not corrected, would result in a professional liability claim. -Prevents litigation. The main advantage of rectification coverage over similar coverages is that it prevents the contractor and owner from having to file a liability claim. If the contractor or owner does file a liability claim, negligence has to be determined, and the case could then go to court. -Help maintain a positive relationship with the owner. By preventing litigation, rectification coverage also allows the contractor to keep the professional relationship with the building’s owner intact. -Claim Reporting. Because of the seriousness in nature of the type of design flaw that warrants a rectification claim, most insurance carriers require that the contractor reports the claim immediately. In addition, many will also require that along with the reporting of a claim, the contractor must also submit a plan detailing how they will fix the problem. -Project Specific. Rectification coverage is typically a sub-limit on your standard contractor’s liability policy, but some carriers will allow the insured to add the coverage on a project specific basis. However, they also will additional requirements in correlation with the project specific coverage. -Cost. A rectification claim is not a claim that the contractor will come out of scot-free. There is a significant financial responsibility that they must assume in the event of a claim. Professional liability policies typically have a self-insured retention (SIR) of $250,000 and upwards that the contractor is responsible for in the case of a claim. This SIR applies to any claim on the policy, including a rectification claim. Aside from the SIR, the insurance carrier requires a co-insurance on a rectification claim and most companies require a 20% co-insurance. The substantial out-of-pocket expense for the contractor for this type of claim often means that more feasible for large contractors. However, as things continue to change in the professional liability insurance hopefully, it will become more financially accessible to more contractors. -Future consequences. If you do need to make a claim under your rectification coverage, it may be difficult to obtain insurance in the future as it suggests that you are a higher insurance risk. In the event you can purchase coverage, it will likely be much higher than you paid before. How does Rectification Coverage Differ from Other Coverages? You may be familiar with protective indemnity coverage, which is covered in excess of a professional liability coverage and protects the owner of the building from damages incurred by the contractor. Rectification coverage differs in that it is not an excess coverage, but replaces the liability coverage when used. Also, it is a coverage that protects that contractor rather than the owner. As touched on earlier, rectification also differs from contractors’ liability coverage as there is no need to determine negligence or to go to court. Rectification coverage can be a very useful coverage, but may not be appropriate for every situation. Contact your insurance agent or carrier with further questions or you are in need of rectification coverage. The second week in October was Fire Prevention Week. This year, the National Fire Protection Association chose to promote smoke alarm replacement, urging people to replace all their smoke alarms once every ten years, at least. Unfortunately, prior to this campaign, only a very small percentage of people even knew that smoke alarms needed to ever be replaced, let alone how often. The truth is, smoke alarms have been proven life savers time and again. As a matter of fact, statistics show that three of every five fire-related deaths occur in homes without working smoke detectors. And, like most electronics, parts start to wear out after a certain amount of time. Sensors in smoke alarms have a ten year shelf life. After that point, they will no longer work. The numbers are humbling when you truly take a look. The National Fire Protection Association estimates that seven people die in US home fires EVERY DAY. Three main issues tend to be the cause of most of these fires. First, cooking equipment is the leading cause of fires, such as stoves, hot plates, and even microwaves. After cooking equipment, smoking is the number two cause of house fires. Finally, heating equipment is listed as the number three cause of house fires. This can relate to radiators or even electric blankets and space heaters. Many of these causes can be prevented and, of course with the help of a working fire alarm, can at least result in no or fewer deaths. Fires are not all easily preventable, nor do they all occur in the home. For instance, in 2015 alone, there were 501,500 structure fires in the US. That is one fire every 63 seconds. These fires resulted in estimated property damage totaling $10.3 billion. Structure fires can be caused by numerous, undetected issues, such as faulty wiring, lightning, or some other random act, such as an act of nature or even arson. People may be severely injured, or even killed, due to the lack of time to escape or lack of knowledge that the event is occurring. Another source of fire accidents can occur on the highway. In 2015, there were 174,000 highway vehicle fires. In 2014, the number was 3.9% less. These fires caused a total of $1.2 billion in property damage. Causes may include accidents, faulty mechanics, or even smoking, as a cigarette can ignite the gas line if not disposed of properly. Many times, these fires are not preventable once the incident leading to its cause has occurred, such as the initial accident. The good news is we have gotten smarter about fire safety. Since 1980, home fires and deaths have actually decreased by 50%. In 1980, there were an estimated 734,000 home fires, which had dropped to 365,500 in 2015. Deaths from these incidents also dropped, from 5,200 in 1980 to 2,560 in 2015. Much of this decrease is due to increased awareness and working safety equipment in the home. For instance, one great idea that is being used in many homes is for each bedroom to have its own working smoke detector. In addition, people are checking the detectors once a month to ensure they are working properly and do not need new batteries or total replacement. Each home should have an ionization smoke alarm, which warns about flames, and a photoelectric alarm which warns about smoldering fires. And, those who are deaf or hard of hearing can also be warned by alarms specifically made for these groups. Finally, check the age of the alarm by looking on its back or side to find the date of manufacture. Remember, if that date is longer than ten years ago, replace the alarm immediately. Some other useful tips that can save your life and your family members’ lives include teaching your children how to recognize the sound of a smoke alarm. Those not yet in school may not be used to the sound and may not know what to do should the alarm go off. Also, make sure you plan an escape route in case of a fire. It is easy to freeze in that situation, but time is of the essence. Have a plan, rehearse the plan, and use the plan. Finally, be smart. Keep open flames safe and secure as well as anything that can start a fire, like matches or a lighter. And if you smoke, make sure your ashtray is also secure and that your cigarettes are completely out. Everywhere you turn, you will see new residential construction. However, the construction occurring is no longer all single family houses, each with a white picket fence and a porch swing. In an effort to keep up with the concept that less is more, new construction now includes condominiums. The concept of a condo has been around for decades, and began as a great way to allow for home ownership and saving space in larger cities. However, it has spread to the suburbs as an opportunity for individuals to purchase rental properties or even downsize as their children move on with life. The difference between a condo and an apartment is that in condos, each unit is individually owned. Then, there is an association of individuals who help manage the common grounds and issues. Condominiums have become desirable for people because of the minimal risk in comparison to single family homes. Certain large-ticket repairs are the responsibility of the condominium association as opposed to the unit owner. The unit owner is responsible for his or her own personal property, such as clothing, interior appliances, electronics, interior furniture, and interior fixtures. Furthermore, their homeowner’s insurance will cover any injuries that occur inside of their property. Repairs such as interior painting, interior door replacements, new carpets, and cabinets lay on the unit owners’ shoulders. And that is where their responsibility ends. Exterior issues, such as roof repair, broken windows, exterior door repairs, and even patio furniture issues, as well as holes in the walls, ceiling repairs, and bare floor issues or foundation problems are the responsibility of the homeowners’ association. Even issues appearing in common stairwells, elevators, or walkways must fall on the association’s shoulders. The association itself must maintain an insurance policy to cover damage to the exterior and common grounds of the entire property, this is more times than not, referred to as the Master Policy. Since the condo association has a large portion of responsibility, there is often a board of directors for the association. These may be individuals paid by the unit owners or volunteers who want to ensure their properties are always safe and in great condition. Either way, this group is responsible for maintenance and repair of the exterior and common area. Sometimes issues may arise simply because people are fallible and make mistakes. Furthermore, when with the board is comprised of volunteers, oftentimes managing the association is only one of the many tasks they will handle. However, a typical condo association liability policy will not cover the errors or omissions of the people managing the association. A separate policy must be purchased to cover officers and directors. Additionally, another policy strictly for volunteers must be purchased to ensure all people involved in managing the association and property are covered in the event of any issues. Like most insurance-related issues, the proper coverage and the mandated coverage are not uniform from state to state. Each state has its own set of rules that may or may not be similar to another state’s. However, the goal should not be to do what is required, but to do what is the best practice. Insurance is not designed to keep you legal. It is designed to protect you. Therefore, a person can sue for perceived injury, whether you are required to have insurance coverage or not, and if they win, the money must come from somewhere. Therefore, do not rely on the state to tell you the amount of coverage you need and what must be covered. Rely on the facts. It is a fact that a person whose interior is damaged as the result of a faulty exterior issue will file a lawsuit to cover the damage to their property. A person who is financially wronged by another’s misrepresentation or omission will sue to recover losses. As a result, it is important to fully cover your condo association for any issues which may occur, no matter the likelihood, to protect your association from going bankrupt and folding, leaving the condominiums unable to sell. When homeowners buy an insurance policy, they most often opt for a standard policy. They very often do not take the time to read their policy when their receive it, and this can be a big mistake. If you don’t read it, you will not know what coverage you have and which of your home’s contents are covered. This review is essential. The majority of policies offer coverage for the structure and contents of the home, as well as living expenses if the home is unlivable due to a fire or other covered issue, and damage or injury to family members or that your pets may cause others. While you may think you have a good understanding of what is covered and not covered on your homeowners’ policy, you may be surprised to find that your policy covers much more than you think. Following you will find some examples of coverage that you may have on your homeowners’ policy. Each policy is different, however, so it is important that you read your insurance policy in its entirety or talk to your agent to ensure you understand exactly what insurance coverage you have. If you have college-age children and they live away from home in the dorms, you may have coverage for theft or other loss of their personal belongings under your homeowners’ policy. While you may have thought you would have to buy an additional policy to cover your children’s belongings when they live on campus, many homeowners’ policies have this coverage included at a certain percentage of your property coverage. If the power goes out your refrigerator and freezer can’t function, and this could lead to the loss of all the food in these two appliances. This could add up to a significant expense, and your homeowners’ policy may offer coverage for the spoiled groceries. This coverage is normally subject to a limit of approximately $500 or less, but it can come in quite handy. Very rarely, you hear about things falling from the sky and crashing into someone’s home. Your homeowners’ policy may cover this. This could include such things as plane tires or even large chunks of ice, which are a peril no matter where they come from. If a crime, such as a murder or suicide, happens in your home, there could be some clean-up needed. This could be at a huge cost, but some homeowners’ policies cover this cost. If you think this could be a coverage you need, check with your agent to be sure you have this type of coverage. Your belongings are covered by your homeowners’ policy no matter where you are in the world. This includes $500 of coverage if your credit cards are used without your authorization. Time causes personal property and your home to wear out or become more susceptible to being damaged. This damage is not going to be covered under your policy. 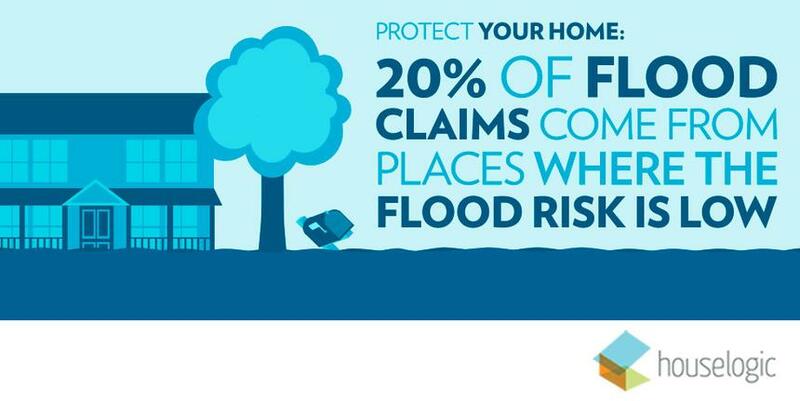 Flood is excluded from nearly every homeowners’ policy. This type of coverage is normally purchased separately through the National Flood Insurance Program or through a private flood insurance company. When you are choosing a policy, make sure you have enough coverage to pay for the total cost of rebuilding. Damage from earthquakes is also not covered under homeowner policies. Earthquake coverage must be purchased separately as an endorsement or earthquake policy. The thing to remember is that a homeowners’ insurance policy can be personalized to fit your particular needs. Talk to your agent to create the right coverage package for you. Most homeowners' insurance policies can be customized to cover a wide variety of perils. Talk to Skyline Risk Management, Inc. (718) 267-6600 about your needs and to find out what types of special coverage may be available. Purchasing a condo is a process that involves many different steps. One step in the process that many do not think about is buying condo insurance. While condo insurance shares similarities with homeowners’ insurance, there are some distinctive differences to be aware of when it comes to purchasing and insuring your condo. If you buy a condo, it will inevitably be a part of a condo association, along with the other units in your building or complex. The association typically purchases an insurance policy that covers all of the units in the building or complex, known as a master policy. The master policy insures the common areas shared by all owners, as well as part of the structure of your condo itself. The tricky part here is that not every master policy is the same. Some will cover only the roof of your condo, others cover anything from the wall studs on out, and there are even some that will cover every part of the structure of your unit. It is incredibly important to check with your association to make sure that they have a master policy and to find out what it covers; that way, you know how much insurance you need to cover on your personal policy. Even if the master policy covers every part of the construction of your condo, there are still coverages that you can only get through a condo policy. One of the most important parts of carrying an individual insurance policy on your condo is the ability to cover your belongings through personal property coverage. No matter how thorough your association's master policy is, it will not provide coverage for the belongings you own. Your agent can help you with recommendations as to the amount of personal property coverage to add, but ultimately it is a good idea for you to take inventory of your belongings and the total value so that you have an idea of the level of coverage that you are going to need. If you are purchasing the condo as an investment and don't believe you need property coverage, think again. Having a condo as a rental property presents a different set of complications. Another important aspect of carrying your own insurance policy on a condo is the consequences of what happens when your association files a claim on the master policy. Just like you have a deductible on your own condo policy, a master policy often has a deductible as well. The difference is that the master policy usually has much larger deductibles – sometimes hundreds of thousands of dollars. The association then splits that deductible between unit owners and charges you a portion, which could amount to thousands of dollars per property. Luckily, there is a coverage on your condo policy for those potential out-of-pocket expenses. Loss assessment coverage will provide coverage if your association makes a claim on their master policy and charges you a portion of the deductible. Making sure you have enough loss assessment coverage to meet the master policy's deductible is another reason to make sure that you know what your association's master policy will cover. Condos can be a great place to live or a great investment, but they do come with many peculiarities when it comes to purchasing condo insurance. Make sure to check with your association and your agent to make sure that you have the right amount of coverage for your condo before you buy. Thinking of purchasing a condo? Contact Skyline Risk Management, Inc. at (718) 267-6600 for a free risk assessment. Whether it be hurricanes, typhoons, cyclones or another type of windstorm – you never know when they'll hit. You just know they may. When the worst happens, small business owners are often in a world of hurt. Windstorms can have a disastrous effect on your company. Small business owners have a lot to lose when damaging storms come through. Property damage and business interruption, are typically covered by insurance coverage, but time out of business can hurt your reputation, which can lead to a loss of market share. Create a Plan: Write down exactly what needs to happen if a windstorm did hinder your business. Detail exactly who in your organization would be responsible for what. Assemble any emergency supplies that could be required. Then put together a list of contractors, vendors, and other services that could come in handy during an emergency. Secure the Perimeter: Make sure the outside of your company is prepared for a storm. Fasten down any and all loose equipment. Move items indoors if needed. Remove any large trees or limbs that could damage any buildings in the area during a windstorm. Take Care of the Roof: Next, you will want to inspect the roof. Make sure no repairs are needed. Your roof could take a lot of damage during a windstorm. You need to make sure it is in excellent shape. Fuel Up: You don't want any fire pumps, generators, or company-owned vehicles to run out of gas during a time of emergency, so fill up all your tanks before the storm hits. Protect Windows and Glass: Any window or door that has glass must be protected. Throughout your company, find any of these areas and attach pre-fitted windstorm shutters. This will seal your perimeter, which ensures no broken glass. Protect Electronics: Your computers, machinery, and all electronics will be damaged if water reaches them. Right before the storm, try to cover all your electronics with a plastic tarp and move things to a safe location. Backing up data is also essential. Watch for Chemicals: Do you have any chemicals on hand? If you store any type of chemical, you need to make sure they are properly and safely stored. If not, a storm could cause such chemicals to react in a violent manner if they come together accidentally. Prepare for the Flood: Vulnerable openings around your building should be covered with sandbags. Electronics should be moved to a higher elevation and covered with a plastic tarp. 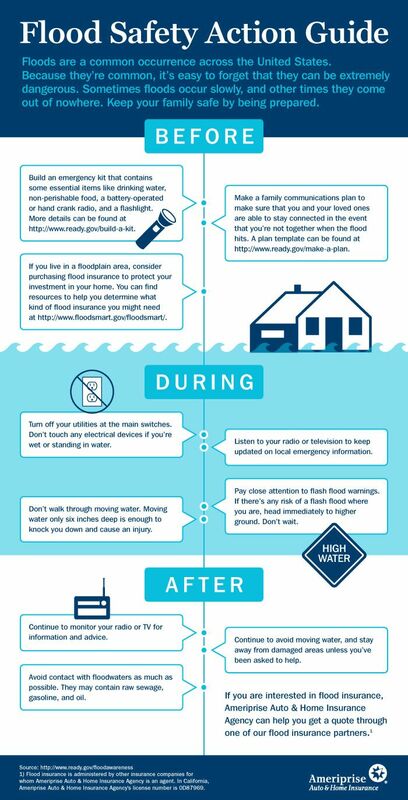 Turn off the electricity in your building once the storm and flood are nearing. Turn It All Off: If the storm is nearing, turn everything off. From electricity to gas lines to all flammable sources – make sure everything is off. After the storm has hit, you'll want to check your insurance policy. You'll need to check the type of coverage and level of coverage. Different events can be insured in different manners in certain locations. This includes landslides, tree damage, flash flooding, and more. As a small business owner, it is your duty to ensure your business is properly covered by any threat, especially windstorms. You never know what damages might occur as a result of a powerful weather storm. Contact Skyline Risk Management, Inc. at (718) 267-6600 to evaluate your options and voice your concerns. At one point in your life, while watching the news or surfing the web, you have likely seen photos of a multi-car pileup on the freeway, or maybe you heard a story about someone whose dog got loose and viciously attacked another person. You may have viewed the events from an outsider perspective, believing that something like that would never happen to you, but what if it did? Alongside with the emotional and physical traumas that such events bring, there is the unfortunate side effect of extreme financial loss if the party liable does not have enough insurance. Umbrella policies are designed to increase coverage above and beyond your existing underlying auto and home policies to provide you the additional protection that you need in those extreme events where you max out your liability limits. Truthfully, everyone could benefit from an umbrella policy. Your agent may recommend one if your asset level exceeds your coverage level, but realistically, any time your liability obligations go above your coverage limits, you are going to be expected to pay for the rest. If you are the driver that causes that multi-car pileup, and you only have $500,000 of liability coverage on your policy, but have caused $1,000,000 in damages, you could be on the hook for the difference. Those who own their own business, have young drivers in the house, or have high asset levels are the most in need of an umbrella policy. If you match any of those descriptions and do not currently have an umbrella policy, you may be severely under-insured. However, as we mentioned before, anyone can find themselves in a position of being liable for more damage than your insurance policy covers, and therefore umbrella policies are beneficial to just about everyone. An umbrella policy usually correlates to your auto or home policy. If you already have those policies with the same company, the simplest thing to do is to get your umbrella policy through them as well. Most carriers require that you have one or all of your policies through them already to purchase an umbrella policy. By having all of your policies through the same carrier, it can ensure more efficient claims handling if something did happen that caused you to exhaust your underlying policy and move onto the umbrella. Also, you will often receive a multi-policy discount by keeping the policies together under one insurer. We already highlighted a couple of scary situations that many people can find themselves in that make an umbrella policy a necessity. You never know what could happen. Even the most cautious person in the world cannot prevent every accident from happening. Anytime you have someone visit your home, there is an opportunity for someone to get injured. You may have the sweetest dog in the world who has never harmed a person, but then one day something spooks them, and they hurt somebody. Any situation that could force you to use the liability coverage on your home and auto policies could become a situation where you need an umbrella policy. Umbrella policies are an invaluable insurance tool that can be used to protect your assets. While we never want to imagine that the worst can happen, the truth is that it can. Ask around and you might be surprised that you do not need to go far to hear the story of someone who could have used an umbrella policy and did not have one. I bet if you asked them if they have an umbrella policy now, the answer would be a firm "yes." Considering adding an umbrella policy to your insurance coverage? Contact Skyline Risk Management, Inc. at (718) 267-6600 to discuss your options. What your homeowners’ insurance policy covers, what it doesn’t, and how to protect your home. Insurance policies can be hard to understand, and most of us don’t want to spend time delving into complicated documents to find out exactly what is covered under our various insurance policies. Although it can take some work, knowing what your insurance covers is a very important part of owning your own home. Most homeowners’ insurance policies have similar standard policy coverages, but it’s important to know what these coverages are. Knowing what your base rate of insurance coverage is can help you determine whether or not to buy additional insurance. A standard homeowners’ insurance policy will typically cover damage to your home and the things inside your home. Homeowners’ insurance may also cover some legal liability for certain situations that are specified by the insurance policy. If you are unable to live in your home for reasons such as a disaster that is covered by your insurance policy, like a fire, you could be reimbursed for those expenses. Most homeowners’ insurance policies have additional policy offerings that go above and beyond common household injuries or damages. Some policies could cover a child’s belongings under the parents’ homeowners’ insurance if they are away at college and living in a dormitory. Some restrictions apply, but for individuals with children in college, checking into this part of your policy could be beneficial. A standard homeowners’ insurance policy may cover falling objects; random accidents involving falling objects could have a major impact on your home, and regardless of origin, an insurance policy could cover an event like this under a “covered peril” clause. Most people don’t realize that their insurance policy could cover them during power outages. If your refrigerator or freezer loses power because of an outage or a storm and your food spoils, you may be able to be reimbursed for the food that was lost. Your insurance policy would detail the amount of money you could get back from a situation like this, and it could be a great financial help if your policy covers that type of loss. One important aspect of a homeowners’ insurance policy that most people neglect is the legal liability clauses. Legal liability for your home is very important when it comes to keeping you, your family, and others who come into your home safe. Legal liability can protect you if there are lawsuits filed against you for injuries or accidents that occurred in your home or on your property. Damage to your home or belongings, or injuries to a third party, could also come under the legal liability portion of your homeowners’ insurance policy. Homeowners’ insurance policies generally do not cover flood or earthquake damage, or damage from general wear and tear on your home and your belongings. To determine whether you require any additional coverage options, it will be helpful to start by knowing what your current basic homeowners’ policy covers and discussing it with an insurance agent. Knowing all the details of what your homeowners’ insurance policy covers will put you in a place to better understand under what situations you are covered and where your insurance policies may not offer you adequate protection. Has it been a while since you've shopped your homeowners' policy? Contact Skyline Risk Management, Inc. at (718) 267-6600 to voice your concerns. In this age of everyone suing everyone, it is essential that companies find ways to protect themselves against workers’ compensation claims. One sector that is at a high risk for claims is the manufacturing industry. The risks come with the small to mid-market companies that cannot find the partners they need to help them target their dangers and find techniques they can use to reduce the costs of the losses for which they are at the greatest risk. These four tips can help manufacturing companies reduce the cost of these claims now and in the future. Analyzing the trends of claims that are affecting your company via loss experience and cost. Developing a corrective plan based on your evaluation. Detailing the financial gains that can be achieved by implementing the corrective plan. This process of evaluation can reduce insurance premiums by as much as 15% within the first year, which is a substantial cost savings. These two decisions have been shown to be very effective in reducing the number of open claims, and this lowers the cost of premiums, simply due to the reduced time spent on claims. By having quarterly claims review with your insurance adjuster you can reduce claims by as much as 20%. Analyzing the workers’ compensation experience modification ratings (EMR) can allow you to regain some control over the premiums. Even though they are very complex, you need to routinely evaluate the modifier to determine if it is still accurate and to see how it is going to impact future premiums. This is a big part of keeping premiums at a stable level. One of the best ways to prevent workers’ compensation claims is to evaluate the hiring process. Employment screening can ensure that a candidate’s physical ability is considered, based on their detailed job description, to ensure that they can do the job you are considering for them. New workers are more apt to be injured and file a worker’s compensation claim than experienced ones. Pre-hiring screening can help to decrease the likelihood of someone being injured on the job and, thus, decrease loss. Smart risk management strategies that flow from evaluating the past, to screening new hires, to controlling premiums, to reducing the amount of time to close claims all work together to help decrease the loss costs. These workers’ compensation tips are a start to help you on your journey to decrease the effect of workers’ compensation claims and help you to become more profitable in your industry. Form more information about reducing your workers compensation claims and costs contact a Skyline Risk Management, Inc. professional at (718) 267-6600 to voice your concerns. When most people think about insuring their business, the first thought that comes to mind is making sure their insurance policy covers their building and inventory. This is understandable—if a fire wipes out your entire shop, you want to make sure that you’re going to have a place to set up shop again. However, many do not think about the indirect losses that happen as the result of having to shut the business down temporarily. Covering lost income and paying for the operating expenses that continue to exist while you close or relocate the business is just as important as covering the building and contents. Business interruption coverage is a coverage specifically designed to cover a business for those indirect losses that hit you when you are forced to close up shop, whether for a short time or permanently. The biggest benefit of business interruption coverage is the provision for lost income while your business is closed. Having lost income covered is especially beneficial for small businesses for which missing out on even a couple of months’ worth of income can make or break them. Also, there are continuous expenses, such as utility bills, that don’t stop coming just because you aren’t able to open your doors to customers. Those bills cause additional costs even when there may be no revenue coming in. Depending on the specifics of your policy, business interruption coverage can step in and cover you for these losses. Beyond lost income and operating expenses, there are additional indirect losses that can occur. Business interruption coverage is meant to cover costs that come up while attempting to keep your company running. You may have additional expenses for things such as: relocating to a new space, overtime pay for the extra hours that are needed, and other costs that come up as you work through alternate methods of doing business while your insurance company works to restore your building and business property. In addition to business interruption coverage, another incredibly important coverage to consider is cyber insurance. Insurance has adapted in this age of technology and cyber losses, introducing a whole new level of risk and loss that you may never even have considered. Hacking and digital information theft is rampant. It seems as though there is story after story on the news of hackers getting access to customers’ financial information through businesses' computer systems. The theft of your and your clients' information not only puts your company in a tight financial spot, but also causes a loss of reputation. Customers are less likely to put their trust in a company that treated their information without the proper security. Cyber insurance can cover you for those losses and help restore your customers’ faith in your stability. Running a business is no easy feat, no matter what the size. Insurance may seem like just another thing to check off a to-do list, but by protecting your business, you are protecting your investment and your future. If your business does suffer a loss and you need to make a claim, ensure that you have all the coverage needed to get on your feet again and to restore you to the same financial place you were before. If you are concerned that your business may not have the right coverage to protect against those types of losses, make sure to contact your agent to review your policy. For more information about potential unexpected costs and coverages for your business, contact Skyline Risk Management, Inc. (718) 267-6600 to voice your concerns. For many of us, life would not be complete without our animal companions. They become part of the family, and just as you want to ensure that your human family members have coverage for liability claims, you also want to do the same for your furry family. The need for animal liability coverage is especially evident when it comes to man's best friend; in the unfortunate event of a dog attack or bite, you could find yourself in a very hairy situation if your homeowner’s or renter’s insurance policy doesn't have the proper coverage. Of course, it is a natural human tendency to want to believe that our pet would never attack a person, but the truth is that nearly a third of all homeowners’ claims are from dog bites. It’s not the number of claims alone that is important to be aware of, but also the amount paid out for those claims. With large settlements being awarded to victims of dog attacks, proper liability coverage is now more important than ever. Without animal liability coverage, the judgment could be a huge financial setback. Dog bites are not the only type of injury that prompts a need for animal liability coverage. Even a friendly, but overly excited dog can knock someone down, potentially causing injuries severe enough to put someone in the hospital, especially if the victim is a child or elderly. Animals other than dogs can cause concern from a liability standpoint as well. Many farm animals, and any animal that is considered exotic, can raise a flag of concern for the insurance company. Just as with dogs, you will want to make sure that your animal is acceptable to your insurance company. An important thing to know about liability coverage for your animals is that it is typically not included under a standard homeowner's policy. Some carriers allow you to endorse the policy for animal liability coverage, and others will exclude coverage for animal attacks altogether. When you purchase a policy, the insurance company will ask you about the types of pets that you have. Make sure to be honest. It is not worth stretching the truth about the breed of your dog to get a policy. If something were to happen, not only will you have no coverage, but the insurance company could take you to court for insurance fraud. Just because one carrier will not accept certain dog breeds does not mean that will be the case with every carrier. If you did not have any pets when you purchased the policy, but later got a dog or any animal that might be considered exotic, make sure to check on whether that breed or type of animal is acceptable under the conditions of your policy. Remember—as they say, the best defense is a good offense. Check with your agent to see what kind of animal liability coverage you have on your policy. If you do not have animal liability, but have a dog or exotic animal, talk to your agent about how to get the coverage you need. Also, make sure that your pet fits within the underwriting guidelines detailed in the policy. Have a furry friend at home? Call a Skyline Risk Management, Inc. (718) 267-6600 to protect your pets!